In this exclusive audio interview Emmy Winner Charlotte Robinson host of OUTTAKE VOICES™ talks with Liz Cheng, Co-Executive Producer of the new TV series “Stories from the Stage” that premieres on the WORLD Channel on Monday October 9th. This groundbreaking series is designed to explore the meaning and value of diversity in America by illustrating the power of real stories told by both masterful and first-time multicultural storytellers. Each of the 12 half-hour episodes will feature storytelling with an audience, interviews with tellers before and after performances as well as comments, reactions and short stories from the audience. The first episode entitled “Last Dance” begins with the story of Mark Lamb who shares his experience of growing up gay in a small Kentucky town and how he couldn’t wait to get out and start his career as a performing artist. Decades later as an established choreographer with his own dance company in New York City he was offered the opportunity to return home to teach a dance workshop in his former rural public school and tells what transpired in this heartfelt experience. “Last Dance” also features the stories of Sandi Marx who narrowly misses getting cast for Broadway’s A Chorus Line and Jean Appolon who dances his way out of a death sentence in Haiti. “Stories from the Stage” is co-executive produced by Liz and Patricia Alvarado Nuñez and hosted by humorists/storytellers Theresa Okokon and Wes Hazard. We talked to LGBTQ ally Cheng about her inspiration of this fabulous new series and her spin on our LGBTQ issues. 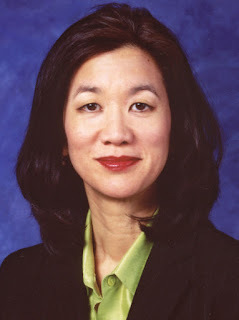 Liz Cheng is also General Manager for WGBH Television, overseeing local channels WGBH 2, WGBX 44, ’GBH Kids, Create and Boston Kids & Family TV as well as the national public television WORLD Channel. WORLD Channel is a 24/7 full service multicast channel featuring public television’s signature nonfiction documentary, science and news programming complemented by original content from emerging producers. Launched in 2007 WORLD is produced and distributed by WGBH, Boston, American Public Television (APT) and WNET, New York in association with Public Broadcasting Service (PBS) and the National Educational Telecommunications Association (NETA). WORLD is distributed by APT and is now carried by 69 licensees/151 stations representing 61.09% of U.S. TV households. WORLD is designed to provide viewers with independent voices telling personal stories from around the globe. Now more than ever “Stories from the Stage” hopes to amplify these personal voices that can create understanding, empathy and appreciation for people very different from ourselves to prove how much we all have in common. Connecting through personal stories is a sure path to inclusiveness and community.